Bleecker Street in Manhattan, where many high-end boutiques have shuttered. 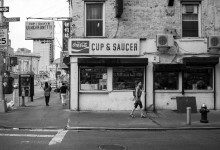 Walk down any street in New York City and you're bound to notice more than the usual number of vacant storefronts. It's part of a major trend called the “retail apocalypse” with both large and small stores closing up shop in the face of high rents and the shift toward Internet shopping. 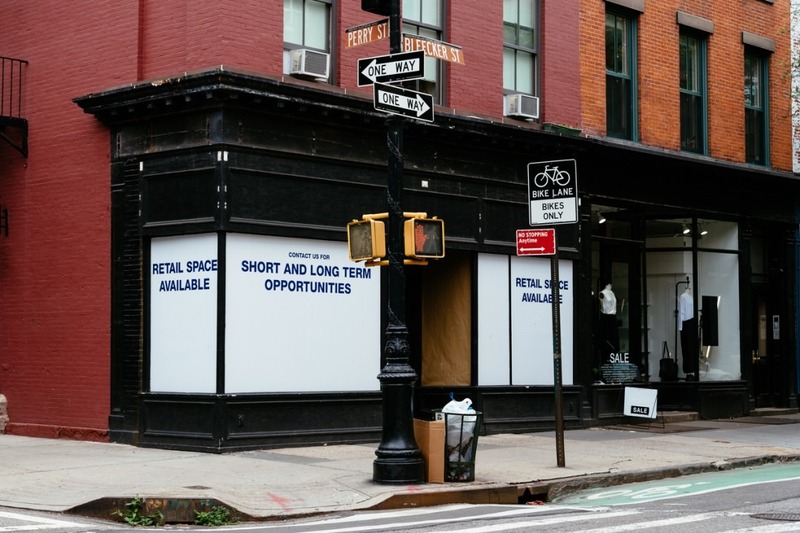 But vacant NYC stores aren't just bad for the businesses themselves—if you live in a building above an empty store, or are thinking of buying or renting in one, you could pay more than you bargained for. According to a New York Post article, one in five stores in Soho are empty, and it’s up to nearly three in 10 along Amsterdam Avenue. In September, The New York Times published “This Space Available,” a photo essay on how New York’s streetscape has been transformed by the high number of vacancies. 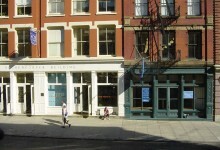 Residential buildings with empty ground-level stores suffer in several ways. 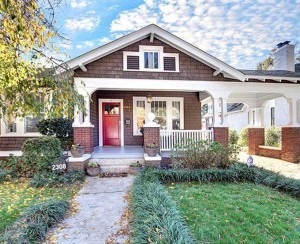 In addition to the loss of whatever goods or services were conveniently located downstairs, there's a loss of curb appeal for both the building and the neighborhood at large. More significantly, for owners, it could mean increased assessments. And then there’s also the chance the store may be replaced with an undesirable tenant, or suffer a fire or flood as a result of neglect. For more on how renters and owners are affected by the retail apocalypse, read on. An empty storefront can signal neglect and be off-putting for buyers, especially if you can see a mess inside. If you’re thinking of buying in a building with retail—vacant or not—your attorney should look at the financial statements and find out how much of the building’s income comes from the retail space(s). If it’s a small percentage (the usual seems to be 10-15 percent), then there’s less to be concerned about, since most of the building’s costs are covered by the common charges or maintenance on residents. But if a building relies on income from its retail tenants to meet expenses, then a vacancy is a big deal. The building has a couple of options, neither of which are very enticing. A board could raise everyone’s maintenance to come up with the money needed, or it could put in a special assessment to offset the loss of commercial rent until it’s leased again, Stone says. It comes down to the basics. "If a co-op isn’t collecting the money to run the building, they have to make it up somehow," he says. You’ll want your attorney to also look at the building’s reserves and make sure there’s no potential for hidden costs, says Nicole Gary, associate broker for Keller Williams NYC Tribeca. “If the reserve is huge, it may not be a big deal. If low, it could really affect what [a buyer] could end up paying because they could get an assessment.” Attorneys can find this out by looking at board minutes, looking at the offering plan, or calling the managing agent. If a place stays vacant for too long, landlords might begin to look at less desirable tenants in order to fill the space, depending on the commercial use of the space. Restaurants or bars can have late hours and have noise or odors. “You want to know what kind of businesses will be allowed to be in the building. The best tenant to have is a bank. They have shorter hours, they’re clean, and people are coming in and out," Stone says. Stone adds that even once leased, you’ll want to find out whether the new tenant will be doing any construction, or for current retail tenants, when their lease expires. “If there are five commercial tenants, a smart building will stagger the expiration dates so you don’t end up with more than one vacancy at the same time,” he says. When the retail industry was stronger, the offering plan often contained a provision to prohibit certain kinds of tenants, says Timothy Serignese, new development specialist and associate broker for Mirador Real Estate. But now buildings are hungry for tenants. "They can say 'we don’t intent to put in a restaurant', but there’s a possibility they will," he says. There are safety concerns when living above vacant retail space, which have a higher likelihood of fire or floods. The building also might not be so quick to fix a broken window if the space is not yet leased, or if the boiler isn’t operating properly, simply because there's no one downstairs keeping tabs on things and requesting work, and because problems don't usually announce themselves until it is too late. 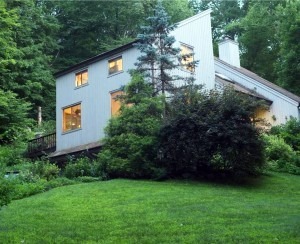 As with most elements of real estate, it all depends on the location. Brokers say that in high-end areas, it's less of a problem (of course). 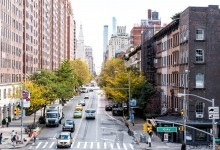 If you have a knee-jerk reaction to an empty storefront, you might be missing out on a great apartment, says Dolly Hertz, associate broker with Engel & Völkers NYC, and you might want to rethink walking away. Ask an Expert: What are the best & worst businesses for the retail space beneath our co-op building?